Indigo is a deep blue pigment, almost violet dye that can be laked as a pigment. Indigo is fugitive. Indigoid Blue is the famous blue dye used in many blue jeans and other denim products, famous for the way it fades! 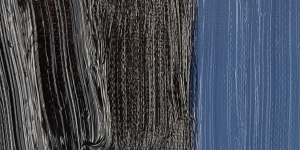 Although a few paint manufacturers offer a genuine indigo color based on PB66, it should be used only for applications that are not permanent, or where the color is required for historic reasons. Most paint manufacturers replicate this historic hue with other more permanent pigments. Although natural indigo is known to be mildly toxic, its toxicity is believed to be the result of other natural alkoids found in plant sources, not of the indigo dye itself. The acute and chronic toxicity of synthetic indigo dyes has been studied and has been found to be very low. A form of indigo designated FD&C Blue No. 2 is used as a colorant in food and cosmetics. 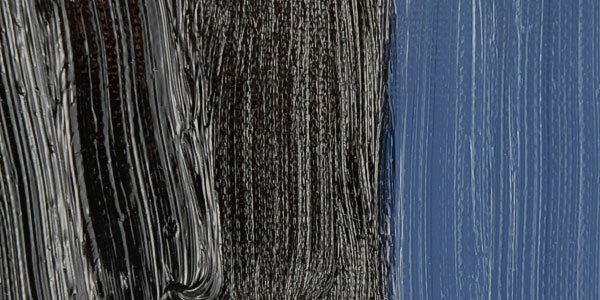 Indigoid Blue is a synthetic version of Indigo, a famous dye and laked pigment that has been used since ancient times. The chemical compound that constitutes the indigo dye is called indigotin. More than 30 species of plants, found in many parts of the world, can be used to produce indigo dye. Indigo dye became the rage in Europe during the late Middle Ages. Although genuine indigo from plant sources is available, only the synthetic version is now used in commercial dye and pigment products. Genuine Indigo is designated NB1 (Natural Blue 1). The synthetic dye molecule was first synthesized by Bäyer in 1878, and it later became available as a commercial dye, quickly replacing natural sources.